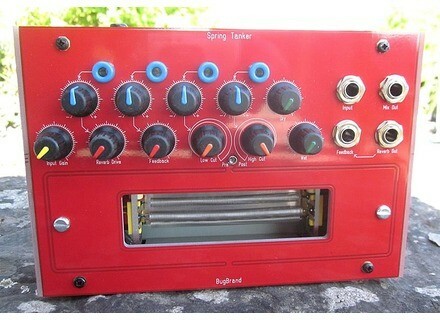 Spring Tanker, Reverb from Bug Brand. 10 years ago, BugBrand debuted in the module industry. To celebrate the event, he decided to launch new products, and starts with a reverb. The first module BugBrand is launched as part as his 10th anniversary celebrations is the Spring Tanker, a spring reverb tank with added voltage controlled features. This new Spring Tanker is available for £345 + VAT, BugBrand only builds small batches according to tank availability. So if they are sold out now, more will come soon. More info at www.bugbrand.co.uk. Comparing different ways to approach the beginning of a mix Mixing a song offers a cornucopia of creative choices. You decide how loud to make every instrument, where to place it in the stereo image, which effects to use, which tracks to mute, and so forth. In fact, there are so many options that it can be overwhelming for a novice mixer. One of the first decisions you’ll run up against is, what to work on first? As you’ll see in this article, there are a number of different ways to get your mix going. Which one is best for you? Samar Audio Design VL37 ribbon mic Samar Audio Design announces the release of its new VL37 ribbon microphone, a model that is hand built in the USA. XQP updates its 531 de-esser XQP will soon launch an improved version of its optical de-esser module in API 500 format, called 531A.